August 30th, 2013 Atomic Brother Posted in Uncategorized | Comments Off on Where are the Brothers??? Hey! This site hasn’t been updated in a while! What’s going on? Here’s the sitch… Atomic Brother is on a bit of a break. Atomic Brother began around 2001 with our first release in 2004. But the history of Atomic Brother started way before 2001. James and I started playing together in college in the 90s at the Berklee College of Music. We started a couple bands, recorded some demos, did a bunch of gigs and then after we graduated we toured with a band across Europe for about a year. After that we did some different things and came back together to start another band together in 1998, released an EP and then went on to do Atomic Brother for the next 10 or 11 years. With Atomic Brother we released See Me Comin’, Silence Collide and Pretty Little Lunatic and recorded enough material for another full album. So, what the hell? We recorded enough for another album but did’t release? Yep. That’s right. James and I both love the music we created with Atomic Brother, and love playing music with each other. But, musically we needed to do some different things that really didn’t fit with our definition of Atomic Brother. Is Atomic Brother breaking up over musical differences? Hell no. We’re doing what we do. We play together and bust our asses real good making the best music we can. Then we take a break do something different and eventually come back together and create more music. We don’t have a schedule for getting back to Atomic Brother, but we appreciate everyone that’s supported us in the past and all the new people that are discovering Atomic Brother and buying our records and supporting us into the future. Keep up with James at http://jamesmelillo.com/. Keep up with me (Sebastian) at http://sasebastian.com. And keep checking back here. Who knows, maybe we’ll finish mixing the last batch of songs and put them out before we get back together. Stay tuned. 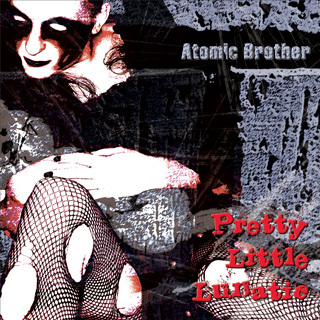 Austin, TX, May 13, 2010 – The alternative hard rock band Atomic Brother, is back with their 4th release, the EP, Pretty Little Lunatic (Atomic Brother Music), set for release on May 25, 2010 through AmazonMP3 and their Bandcamp powered online portal, http://music.atomicbrother.com (release on iTunes and other digital outlets will follow in subsequent weeks). Produced by Atomic Brother’s S.A. Sebastian Gnolfo and James Melillo, Pretty Little Lunatic is a cool amalgam of punk rock stylings, modern alternative metal and anthemic 70s classic rock. After locking themselves away in the Swiss Alps for a month to record their first album, recording Pretty Little Lunatic was no easy task. With their 2 studio drummers Pat Aeby and Robert C. Kelly in Switzerland and South Korea respectively, James in Atlantic Beach, NY and Sebastian moving from Montclair, NJ to Austin, TX, the band had to be creative and make the best of the time they had together. “Since S.A. and I have been living in different places, we have kind of become the Steely Dan of heavy rock!” says James. “Concentrating on writing great songs and recording and playing live when it makes sense. Working this way forced us into really honing in on songwriting!” Demos recorded in Montclair, NJ were sent to the 2 drummers to record their final parts. Sebastian recorded the final bass parts at his home studios in Montclair and Austin, then joined James in Atlantic Beach to record the final guitar and vocal parts in a makeshift studio built out in his apartment. Pretty Little Lunatic opens with the punk-infused, rapid-fire vocals of “Sin Is In,” moves into “As Far As I Can Go,” Atomic Brother’s modern, metal take on classic rockabilly then, in classic Atomic Brother style, the recording takes a turn with the quirky anthem “Bullet From My Brain,” which blends the sounds of 70’s era Who and Led Zeppelin with modern day alternative metal. Atomic Brother closes out Pretty Little Lunatic with “Better Day” and “The Blindness,” 2 songs recorded live and raw – stripped down to just vocals, guitar and bass. The alternative hard-rock band Atomic Brother, was formed in 2003 by James Melillo (lead vocals/guitar) and S.A. Sebastian Gnolfo (bass/vocals) and splits their time between Atlantic Beach, NY and Austin, TX. While categorized mainly as hard rock, the diversity of the band’s musical influences is apparent in their ability to master a number of different styles—from rock to metal to punk, and even slower songs and ballads. The band line-up is completed by various live and studio drummers including Pat Aeby (formerly of the Swiss rock band Krokus) in Switzerland, and Robert C. Kelly in Seoul, South Korea and the U.S.
Atomic Brother released the Ep, Silence Collide in October 2009, and the full-length album, See Me Comin’ in May 2007. Day 6, no recording today. Dropping James off at the airport at 5:30 AM for his 7 AM flight back to New York. But there’s still some work left on these songs- comping, editing, mixing and mastering. So, these songs will all be on the Winter EP. In the meantime, we’ve got 6 other studio tracks cued up for release, with the next one near the end of April. We’re out at AGCruxansata Studio (aka my project studio) in Austin, Texas recording 3 tracks for Fall/Winter Eps. James came in from NY around 11 am, then we went out to rent a guitar amp – a JCM 900 head with a JCM 800 cab- from David Marshall at Fast Horse Studios. We started with the song “Better Day”, recording rhythm guitars with James playing his 1986 Les Paul Custom Black Beauty and my 2008 Les Paul Standard. THe cabinet was mic’d in the our usual way, 2 SM57’s one on the outside of one speaker, and one on the inside of another, making for a full-range sound mixed together. Then we tracked James playing an acoustic rhythm track and a second acoustic capoed at 10th fret for mandolin-ish kind of melody, with my Takamine. The acoustic was recorded mic’d & direct through, both through a Focusrite Platinum TwinTrack. We went a little extra and also recorded bass. For this song I used my 2009 Fender Jaguar with 2 lines- 1 through a Radial Pro DI and the other through the Focusrite.